For those who have not already heard, Lovers Leap Vineyard and Winery has changed hands. The new owners, the Sivinskis, are keeping the winery open, but have closed it temporarily to make some changes. Check the Lovers Leap website for updates about the opening. I’ve spoken with Brian Sivinski, the winery manager and he’s very excited about reopening and continuing to make wines that Kentuckians will love. February is usually not the month that wine lovers choose to visit wineries. The vineyards are not all that beautiful and you can’t enjoy sitting outside sipping your wine. We did however take time from basketball games to make a few stops at four Bluegrass wineries. Elk Creek Vineyards and Winery have the Kentucky Proud store at the Lexington Center. Not only can you taste the wines, you can get a glass of wine before the ball games. Chrisman Mill Vineyard and Winery have a shop at Hamburg. 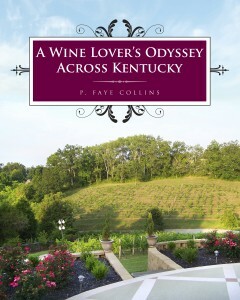 It is just a short drive to Rupp Arena, so before or after the game, enjoying a glass of wine provides a good time. One Saturday in February we drove out and revisited Grimes Mill Winery, just off Old Richmond Road. The visit was fun. We were able to taste some of the future vintages from the barrel. At Kentucky’s last noon game, we were able to visit Prodigy Vineyards and Winery. The Winery is just off of I-64, and the trip was worth it. With spring approaching, we’ll be out and about visiting wineries and tasting wines. See you there!